Do you know what to do with old water or soda bottles, used cardboard & newspaper? The Arboretum Ambassadors turned that question into an engaging sustainable craft-making workshop—Get Down with Upcycling. 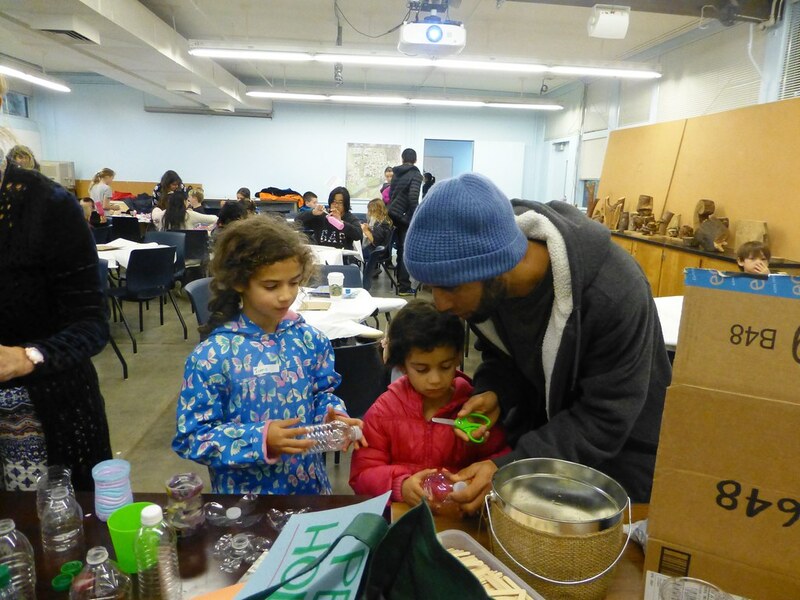 On Sunday, January 22, 2017, sixty-five participants of all ages learned how upcycling everyday waste items not only helps the environment, it’s fun! Our Arboretum Ambassadors also invited students from the Aggie Reuse Store to collaborate on the event. re-purposing the bottoms of liter soda bottles to make flower prints.